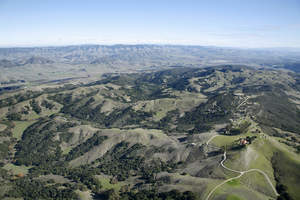 SAN LUIS OBISPO, CA--(Marketwire - January 17, 2011) - The Madonna-Twisselman Ranch, a 1,975-acre property located 2.5 miles from downtown San Luis Obispo, will be offered at real estate auction by J. P. King on February 10. The property, which was once owned by the late Alex Madonna, will sell absolute with no minimums or reserves. 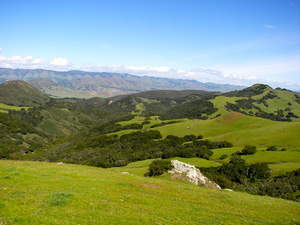 Located between San Francisco and Los Angeles on the California Central Coast, the first of the two available ranches is 746.1 acres and the second ranch sits at 1,228.9 acres. 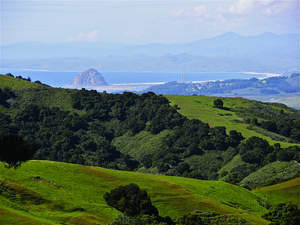 The ranches include views of Pismo Beach, the Oceano Sand Dunes, the Morro Bay Coastline, Morro Rock and the Cayucos Coastline and contain over 15 natural springs and two red-rock quarries. The property's previous owner, Alex Madonna, was a builder and real estate developer in California. Best known for The Madonna Inn that he and his wife built in 1958, Madonna's construction company was also responsible for much of US 101, and a stretch of US 101 through San Luis Obispo was named after him in 2007. After Madonna's death in 2004, two of his daughters, Cathie Twisselman and Karen Twisselman, inherited the ranch. The properties were last listed for a combined price of $10 million, but its owners have now chosen to sell the ranches absolute with no minimums or reserves. The Madonna-Twisselman Ranches will be available for showing from February 1 until the February 10 auction date by contacting J. P. King's auction representative directly at 256.438.3419. The auction will take place at 1 p.m. at the Madonna Inn, located at 100 Madonna Road in San Luis Obispo. For additional information, individuals may contact J. P. King at 800.558.5464 or visit the company's website at www.jpking.com. J. P. King Auction Company is the nation's leading real estate auction marketing firm and specializes in high-value properties and portfolios such as luxury homes, developments, condominiums and land and ranches. The company has marketed properties in all 50 states and six countries with recent sales in Texas, Alaska, Tennessee, Oregon, Wisconsin, Alabama and Wyoming.